“Smoking is Injurious to Health”, a statutory warning that over the ages have become nothing but an instrument to check your language skills, is a painful truth for many around the globe. Unfortunately this is one naked truth that every man, living on this planet, accepts from the bottom of his heart but many of whom won’t accept it otherwise. 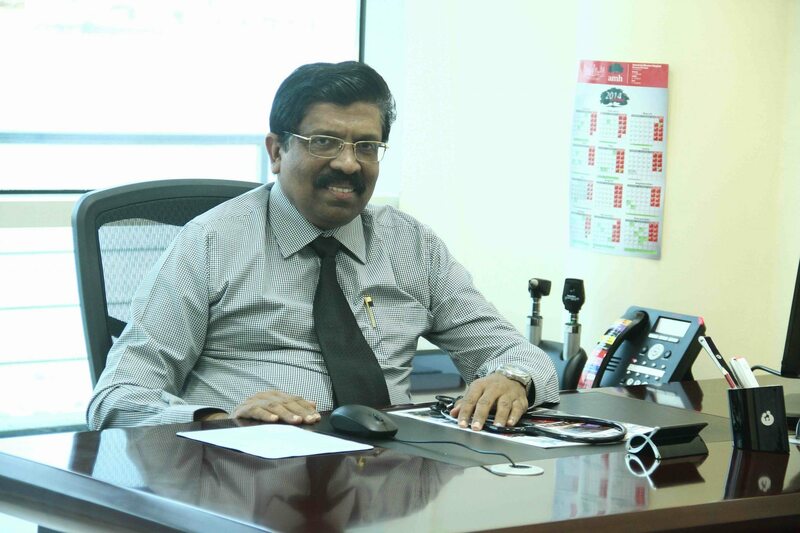 Bahrain This Week team was indeed lucky when we got the chance to hear the words of wisdom from one of the renowned Anti-Smoking Campaigner in Bahrain – Dr. Babu Ramachandran. Dr. Babu, Service Line Head at the new AMH wellness center, in Amwaj islands, has been ardently working towards spreading the awareness on the ill effects of smoking towards oneself, neighbors and the whole world. “I have been here in Bahrain for the last 16 years. Before coming here, I had been doing specialized training in respiratory medicine and was also doing a research on ‘herbal medicine’ that can aid to quit smoking. During those days, I have had the chance of interacting with more than 3000 smokers. The best thing was that around 70% of them regretted the fact that they started smoking.” Bringing with him the medical knowledge he acquired during the research days in India, Dr. Babu joined AMH in 1999 and since then he has been working towards raising the consciousness about addiction to smoking. “As they say the 1000 mile journey begins with the first step and this is mine, in the Kingdom of Bahrain”- he conveyed with a smile. When we asked Dr. Babu, ‘Why people smoke?’ he explained, “There are 4 major reasons: Curiosity, fun, peer pressure and entertainment. These are the reasons why children from the age of 14-18 are misled to being obsessed with one of the dangerous addictions found in the world today.” He also expressed the serious concern of having noted a large portion of the national and expatriate population in the kingdom, being addicted to smoking. When we speak about adverse effects of smoking, it usually begins and ends with cigarettes. But Dr. Babu had more serious facts and figures as approved by the WHO that showed the dangers hidden in Shisha and passive smoking. With the cigarette smoke, containing more than 4000 chemicals, and many being classified as carcinogenic, it’s not only the active smokers but the non smokers sharing room with them who are also equally under the threat. “A single session of shisha smoking lasting 45 minutes delivers,36 times more TAR, 15 times more CARBON MONOXIDE and 70% more NICOTINE than a single cigarette”, quoted the doctor on the risk of smoking shisha, based on the studies as conducted by WHO. “In a single shisha session, the smokers inhale 200 times more smoke than from one cigarette. Yes, smoking shisha is potentially more dangerous than using cigarettes.” The doctor seriously commented on one of the most common activity found in this part of the world. “The best reward I get is when people throw away their cigarette packets after realizing what they have been doing.” Dr. Babu notes with a smile on post campaign experiences. Dr. Babu also appreciated the strict policies that our government has constructed with regard to smoking, including warning at stores for cigarettes not to be sold to children less than 18 years of age and cigarettes to be sold only in full packets and not as single pieces. Still @BTW we wonder, why we fall short to understand the importance of this blessed life being given to us. Dear readers, when you have your loving family and friends awaiting your safe return home, why do you fail to listen to what your lungs and heart might have to say?